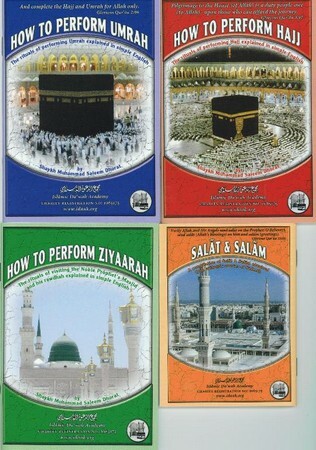 I have been using these books ever since I started visiting the haramayn around 15 years ago, they are of great benefit, thank you for sharing. Great post! Thanks a lot for sharing. Really very useful and informative post about Umrah perform Hajj and Umrah. I like it and very interesting post. Awesome post about how to perform Hajj and Umrah ziyarah by shaykh saleem dhorat. May ALLAH give you reward on your job. Thanks a lot for sharing. Where can I obtain these books in paper format ? greatest books ever. never leave for Hajj/Umrah without them. Clear, concise and absolutely easy to understand. May Allah swt reward Shaikh Saleem immensely.